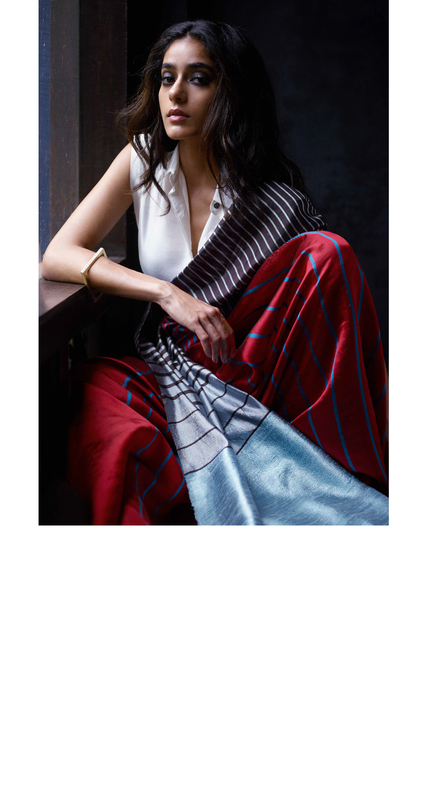 Handwoven in West Bengal, our line of saris this season is our most comprehensive offering yet, since the inception of the label 5 years ago. 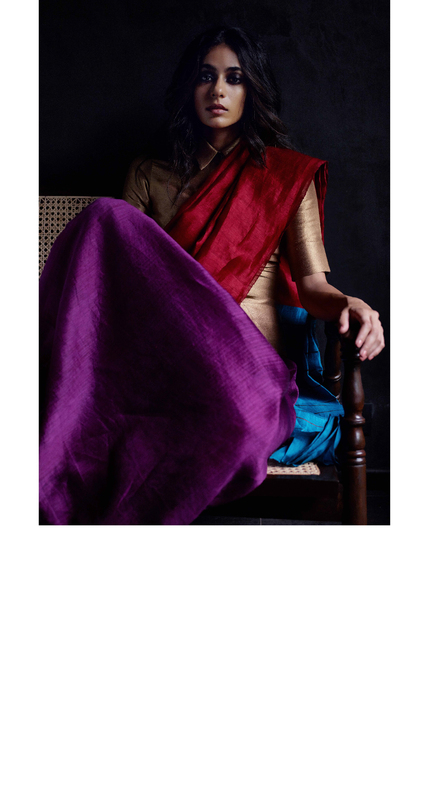 Nothing gives me more joy than to reimagine the sari our way, colour blocked, comfortable and contemporary, simple yet seamless. To design it ground up, is a bit like plotting an artwork on a six-yard canvas. This time, Barnett Newman's oil paintings with his minimalist approach to large colour fields, interrupted by lines, (he called them zips) that divide and unite the canvas at the same time, was the perfect place to start. The rhythm and repetition of the lines, thin and thick helped me experiment with our palette in a way that impressionists did with pigment. Using colour theory, I rearranged them to vibrate, compelling the eye to read the illusion of a third colour. 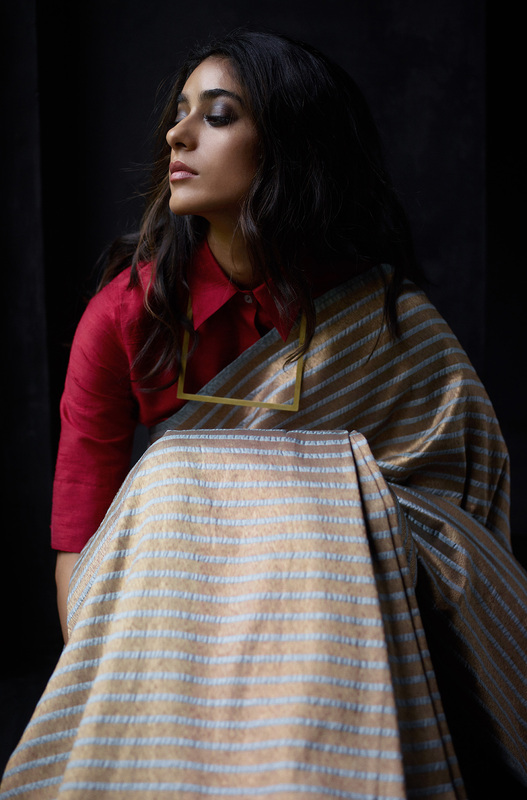 We developed them in silk, silk twill, and silk with linen, to ensure that not only do they stay light and drape with ease as a sari, but that they also shape the foundations for textiles that will become stitched garments, as part of our pret offering, which will be released soon. 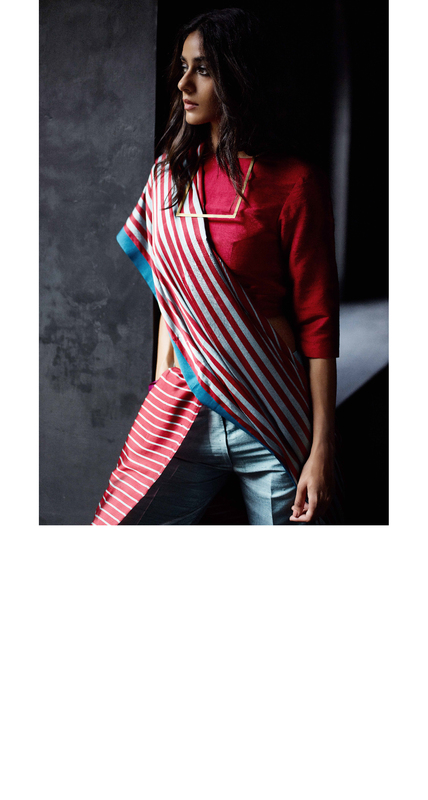 As a student in New York in the 90's, I often wore saris with a tank, shirts or a tee shirt. 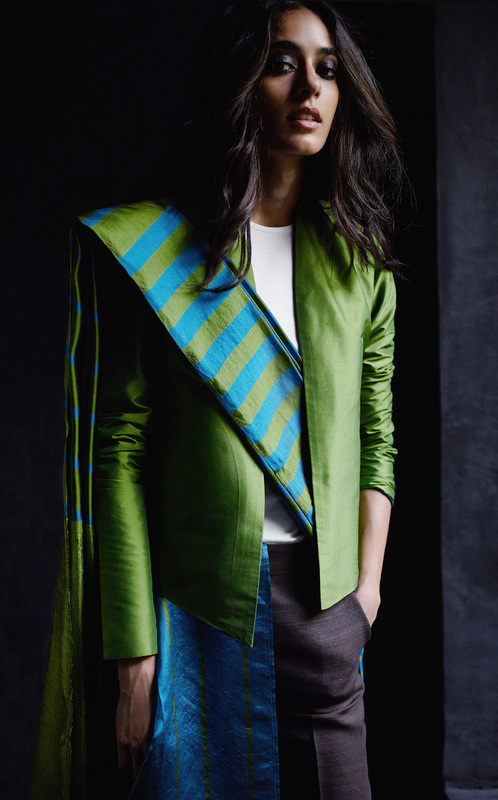 I styled this collection in much the same manner, with existing staples from our label. This way it can be reinterpreted in a slightly different way each time you wear it. 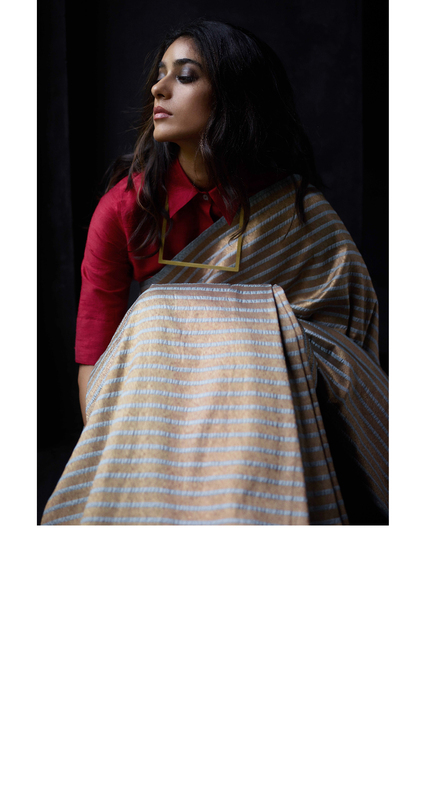 The central concept was to rethink our impression of a hand woven sari, to make it unpredictable, without the baggage of what it represents to us as a culture and to redraw it in a present day context. Redefined slightly, yet as an extension of our house aesthetic. 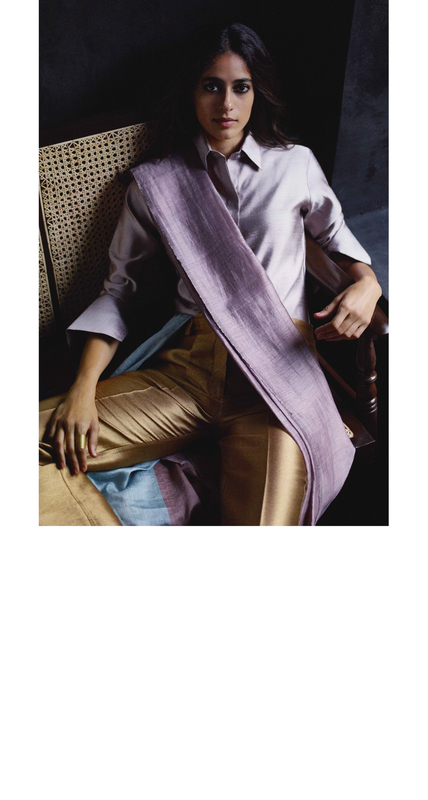 This season we also introduce my personal favourite, The Little Sari. 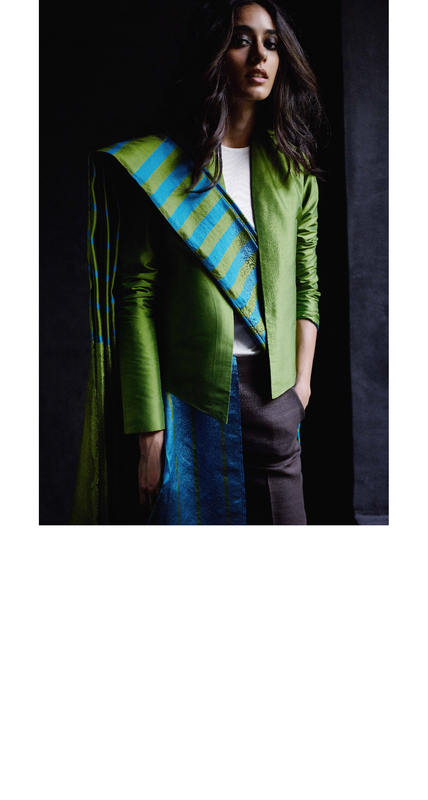 I've often styled our handwoven saris on ramp and in real life, with a pair of trousers or palazzos, it allows me to do what I love best, layer, so that I can colour block the entire ensemble differently each time I wear the same sari. But I found pleating a full-length sari in this way was a bit intimidating. 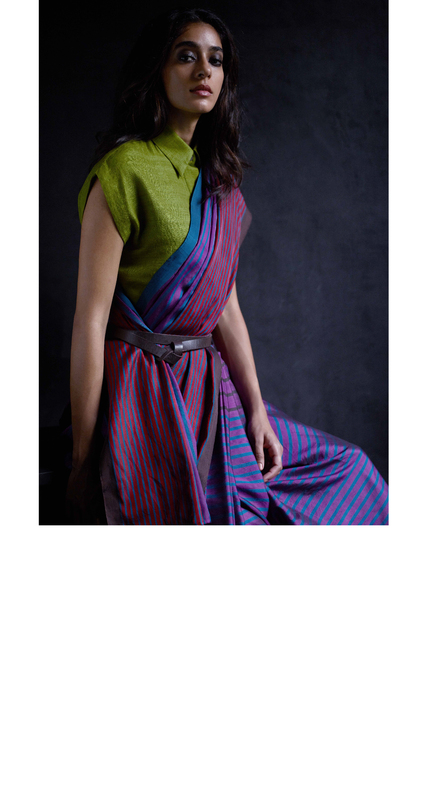 So, I redesigned the conventional sari, shortened its length, and I styled it over closet staples like culottes, jeans, shirts, a basic tee or a even a jacket. 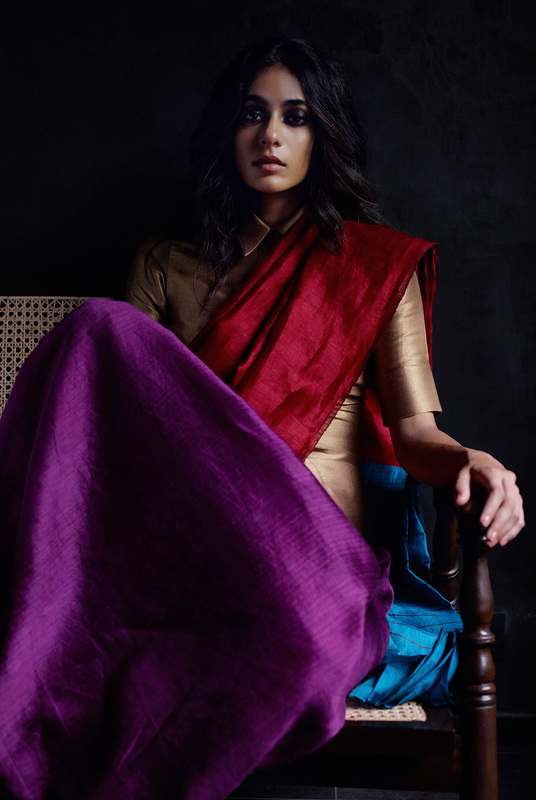 It makes the sari approachable, lighter, fuss-free and definitely more versatile. Plus it encourages us to reuse and repeat our existing clothes, whilst renewing our look each time. I find that how I choose to team it makes the ensemble more unique, it can go from desk to dinner with a quick tuck and throw over the shoulder. 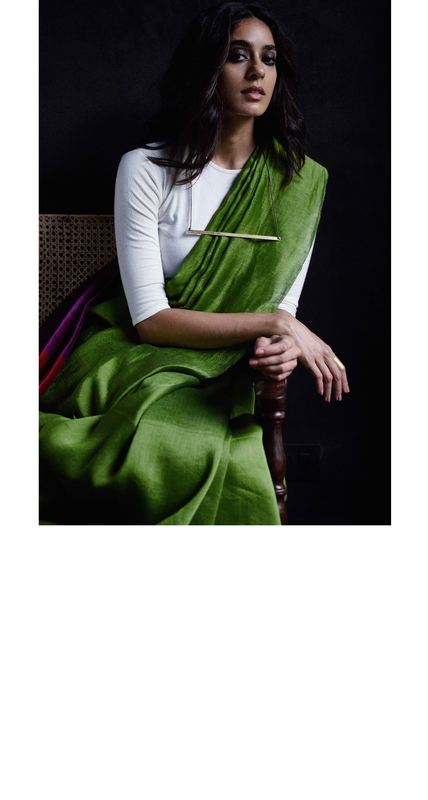 I hope that this will resonate with a younger audience, a generation that wants the romance of the sari without the drudgery of a petticoat and matching blouse but with the freedom and creativity to express themselves. 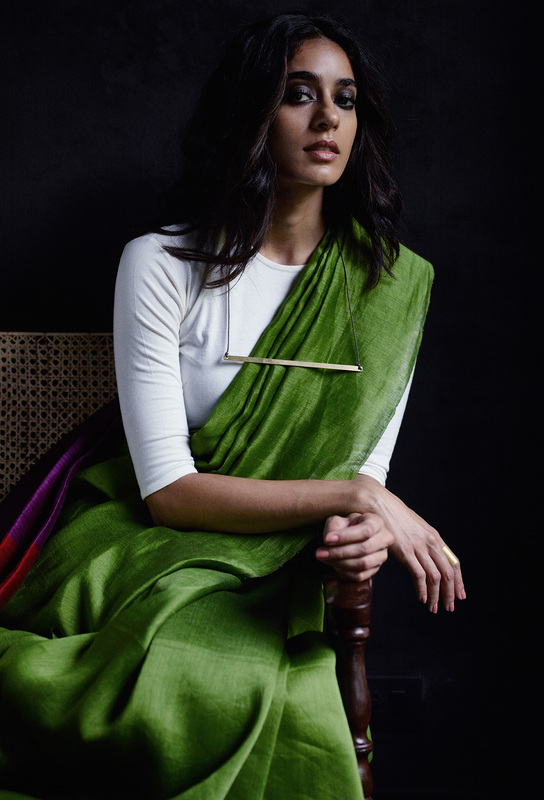 For all the women that want to infuse their look with their own personality, for whom personal style trumps fashion - The Little Sari allows you to make it Your Little Sari.